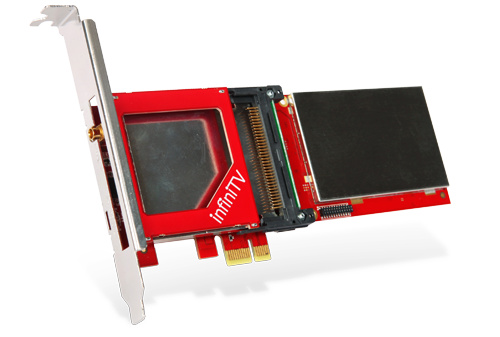 InfiniTV 4 PCIe is the world's first multi-tuner solution for bringing digital cable TV service to the PC, including support for premium cable channels. It turns your Windows 7 desktop, tower, home theater PC or slimline entertainment PC into the ultimate entertainment platform for television. 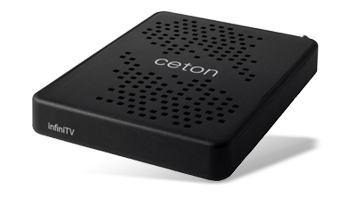 InfiniTV 4 USB brings Ceton’s award-winning multi-tuner technology to an external device that turns virtually any style of Windows 7-based PC into the ultimate entertainment solution for your TV – whether you have a laptop, tablet, All-in-One, desktop or tower PC.